Discover a diverse range of commercial property to rent in your area of choice in the UK through our free and easy to use commercial property matching service. Our commercial property listings make it easy to find the property that matches your needs in the location you need and the right kind of commercial property for your business. If you're searching for office space to rent for your company then MoveHut can help. We have a range of commercial office space from serviced offices to managed offices and virtual offices. If you need a commercial property to run a retail store or a shop, MoveHut has a diverse selection of properties to choose from. We have in town retail properties, out of town shop premises and retail outlet and shopping malls. We also have land to rent in your area, in a range of sizes and acres to suit your needs. We have a selection of commercial land plots in both cities and towns. If you need warehouse or industrial property then we have a wide selection of choices when it comes to finding the right commercial property. We have industrial park properties from light industrial units to a mix of office and industrial space combined. You can also find warehouse units and warehouse workspaces to rent in the UK by simply refining your search in your area. 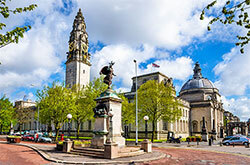 Browse our range of commercial leisure properties to rent in the UK, from restaurant property to cafe properties located in town and city centres. We also have pubs, sports facilities and halls and venues for various purposes. To find the leisure property to rent in the UK that suits your requirements, simply refine your search results using our functionality and browse the available properties. Either way our convenient service can help you find the commercial property to rent in the industry you need. The capital of England is a thriving city with everything a busy city centre should offer at hand. 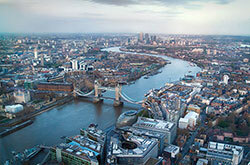 If you want a commercial property to rent in London then we have a varied selection of choices. We have office space, industrial property and leisure and retail facilities. So whether you need a property in Mayfair, Canary Wharf of Covent Garden, MoveHut are confident of matching you with the commercial property of your dreams. Manchester is the busiest city centre in the North West of England and we have commercial property listings all across Manchester to browse. You might be looking for some land to rent in Manchester or a serviced office space for your business, either way we can make your job easier. So if you're looking for a compelling commercial property to match your needs in and around Manchester, just browse our listings today. Birmingham is situated perfectly for nationwide businesses and offers easy access to almost any location in England. If you're looking for a commercial property to rent in Birmingham then we have a plethora of choices, from retail and store properties to leisure and industrial locations. To browse all of our properties in Birmingham from the Bullring to Solihull just filter your choice using MoveHut's bespoke search functionality. The capital of Scotland and a thriving city, Edinburgh has plenty of choice when it comes to commercial property to rent, and there is usually a property to suit every requirement. If you need industrial or commercial warehouse premises there is something in Edinburgh. 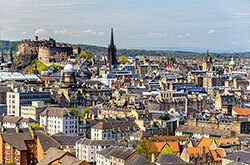 Or you might require office space or a store to let, again Edinburgh has plenty of choice. If you are searching for a commercial property in the New Town or in the West End of Edinburgh MoveHut has something to match your businesses needs. Leeds is one of the biggest and most popular cities in North East England and has a prime choice of commercial property to rent. With a mix of commercial office space, diverse retail property choices and a fine mix of warehouse and industrial space, Leeds has plenty to offer when it comes to commercial property. The location choices range from the the busy city centre to South of the River Aire and there is something to satisfy all needs. Discover our range of commercial property to let in Leeds today with MoveHut. So whether you need a city centre property or a commercial property to rent in your home town then MoveHut are confident we have something perfect for you. To use our commercial property to rent services just fill in your requirements. Choose your location and the type of commercial property you require and let MoveHut do what it does best. If you are looking to find a commercial property to rent, then you have arrived at the most up to date database of commercial letting agents who can offer a wide range of buildings and business space to meet your property requirements. The search facility to the left enables you to easily define your perfect commercial property within a specific location, radius, property type, rent price range and size. There is no room for a middle man here as all enquiries go directly to the appointed estate agent. You can choose to either contact the agent by telephone or through submitting an online form. Good luck with your search.